If you want to keep the interest of your reader, you have to speak their language. This makes tone an important part of skilful copywriting. If you are writing copy for your website’s blog, setting the right tone is especially important because you have to keep your reader engaged, or they will simply leave your site. There are hundreds of industry blogs online that are all competing for your reader’s interest and at any one time, the typical online reader also multiple tabs open on their screen. Picking a conversational tone is a good way to engage with your online reader. This means addressing the reader directly and adopting an active voice instead of a passive voice. For example, instead of saying ‘Orders can be placed here’, you should say ‘Place your orders here’. Sentences written in the active voice are easier to understand and it also resembles spoken, or conversational, language. In order to pick the right tone for your reader, you need to know who your reader is. This means doing some research into who your target market is. In the same way that you don’t speak to colleagues they way you would speak to your children, you shouldn’t write for business people in the same way that you write for teenagers. Some readers will expect a level of formality in your writing in order for them to take your business seriously. Of course, tone is not just determined by who your reader is, but also by the context in which you are writing. 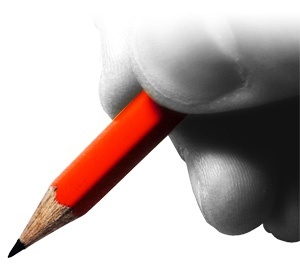 The degree of friendliness and formality in your writing will also be determined by what you are writing about. This can also be compared to spoken conversation. People speak differently to friends when they are giving them advice, compared to when they are out socialising. In the same way, you should adopt a different tone depending on the service that you are offering. For example, very friendly tone is appropriate for a wedding photographer writing to people that could choose to include him or her on their most special day. In comparison, someone looking for an financial advisor is likely to expect a more professional tone. For helping getting contact that is engaging and speaks directly to your target market, contact WSI OMS to find out more about our copywriting services today!